Mr. Hemingway and Mr. Rosenthal are apart of a local group known as The Talented 6. Through their blog, thetalented6.com, the Cleveland raised professionals share their experiences with finance, lifestyles, career building, and much more. 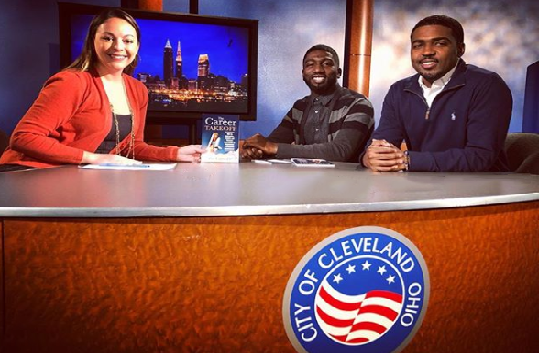 Their recently published book, The Career Takeoff, is a compilation of the advice The Talented 6 have brought to students and professionals across Cleveland. From mentorship and internships to interview tips and salary negotiation is covered in the book, with each chapter being supplemented by a Youtube video produced by members of the group. If you’re interested in learning more about The Talented 6, visit their website, thetalented6.com or follow them on Twitter and Instagram @TheTalented6. A digital copy of The Career Takeoff is available on both Amazon Kindle and iBook, with physical copies being available by request on their Instagram.